Beat Generation poet and novelist who is known for such works as On the Road, Big Sur, and The Dharma Bums. His literary work covered such topics as spirituality, sexuality, religion, travel, and drugs. He played football for New York's Columbia University. He was discharged from the U.S. Navy after only a week of service. 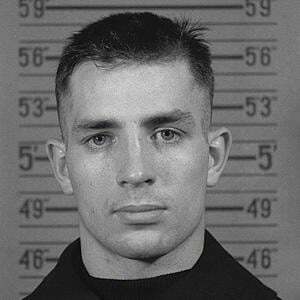 His parents were French-Canadian, and Kerouac grew up speaking Quebecois French. He was married three times, to Edie Parker, Joan Haverty and Stella Kerouac. He had a daughter named Jan. He and Allen Ginsberg were two of the most famous beatnik authors.